A concentrated liquid humic acid. 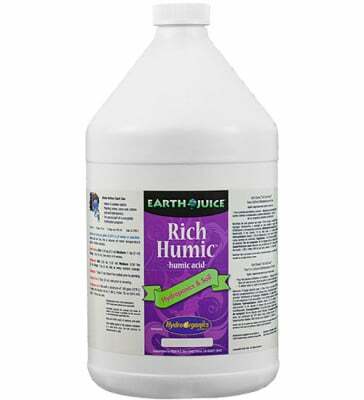 Earth Juice Rich Humic improves nutrient absorption in plants and encourages rapid plant growth and size. Helps support beneficial microbial activity in soils and may increase micronutrient availability, too! 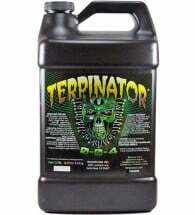 Ideal for use in hydroponics and soil. Available in quart and gallon (shown) sizes. For use as part of a complete fertilization program. 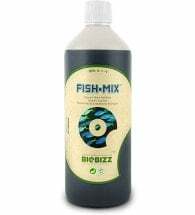 Hand Feeding: Mix 1/2 to 2 tsp per gallon of water every 4-8 weeks. Hydroponics: Mix 1/4 to 1 tsp per gallon of water at every nutrient change. Transplants: Mix 1 Tbsp per gallon of water. Drench the root ball prior to planting. Compost Teas: Mix 2 Tbsp per gallon of water. Add prior to brewing. 3.0% Humic Acid (derived from Leonardite). 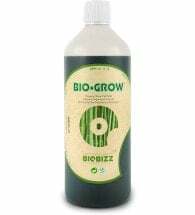 Lab results show Rich Humic contains 22% humic acid through the alkaline extraction method and 3% humic acid through the acid insoluble method. 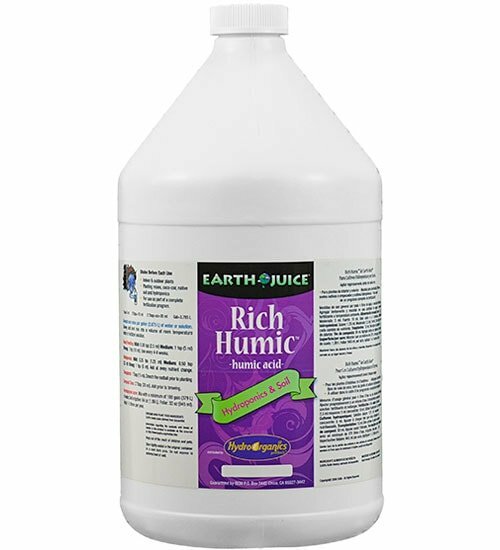 Because some states recognize only the acid insoluble method, Earth Juice lists Rich Humic at 3% humic acid.